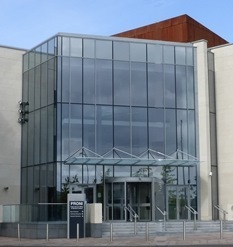 Genealogist Chris Paton attended the quarterly stakeholder meeting at the Public Record Office of Northern Ireland in Belfast last Friday. You can read his report on his GENES blog. It includes details of current Cataloguing, an update on PRONI's recent digitisation of church records project, plans to commemorate the People's Representation Act 1918 and to update PRONI's Acquisitions Policy, and the development of a new strategic vision document.